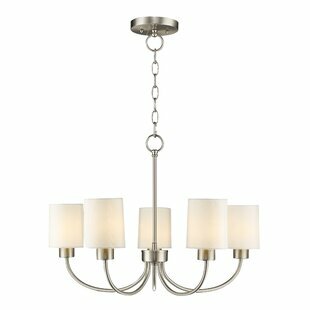 A distinctive twist on traditional style, this five-light chandelier is a sophisticated addition to your luminary ensemble. 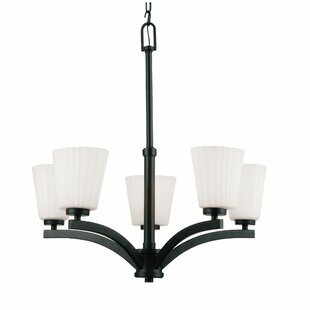 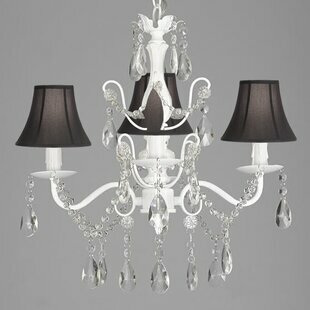 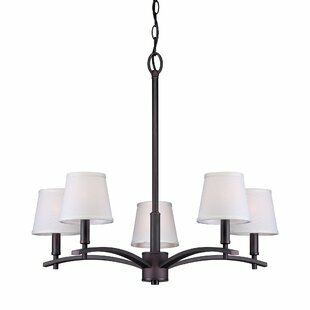 Crafted from steel, this chandelier boasts curved, clean-lined arms and off-white linen shades. 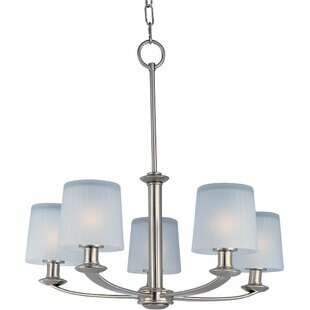 Awash with a metallic finish and showcasing chain details, this chandelier brings subtle industrial style to any space. 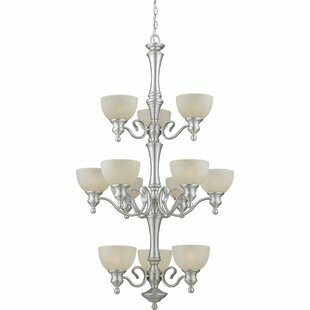 Capable of hanging up to three feet from the ceiling, this chandelier is sure to draw the eye in your dining room or den. 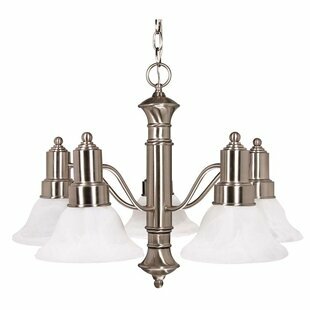 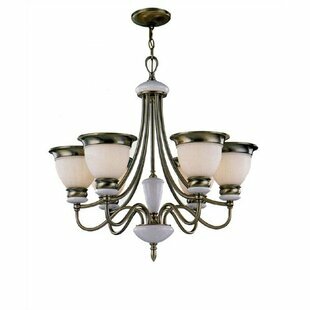 Number of Lights: 5 Fixture Design: Shaded Chandelier Overall Height (Hanging): 58.5 Fixture: 22.5 H x 24.75 W x 26 D Overall Weight: 7.32lb.